Honda Civic is very practical and economical car to drive. A perfect family car offers great amount of cabin space, spacious interior and great powerful engines -This is all new Honda Civic. 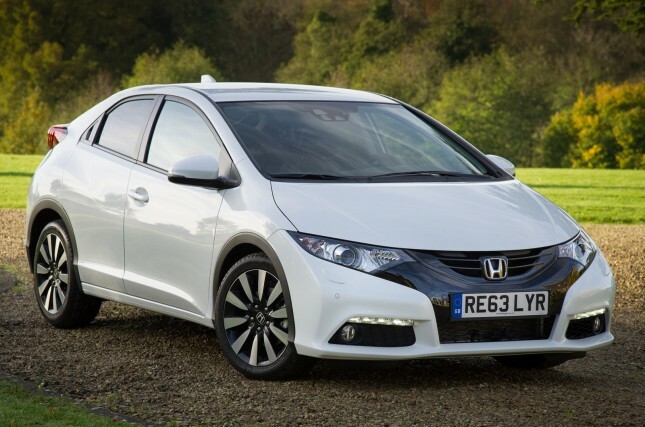 A five door compact hatchback Civic received impressive achievement to its rivals Volkswagen Golf and Ford Focus. The Civic looks stunning from outside and inside with its sculpted headlights, rear spoiler and optimised air flow. The new Honda Civic comes with smart keyless entry system, intelligent multi information display, adaptive cruise control, collision braking system, LED daytime running lights, leather steering wheel and gear knob as standard. The Honda Civic is very well built impressive and practical car offers gorgeous 1,210 litres boot space with folded rear seats. Civic is available in 1.6 litre diesel and 1.4 & 1.8 litre petrol engine to choose from manual gearbox or automatic transmission. All the engines offers impressive fuel efficiency of around 79mpg and lower co2 emissions of just 94g. Impressive well built car offers gorgeous 1,210 litres boot space. "Honda Civic is reasonably priced car that they offers specification wise." The new Honda Civic Tourer is estate version of Civic Hatchback looks bold, sporty and stylist offers excellent levels of interior space. Civic Tourer comes with leather steering wheel, magic seats, alloy wheels, eight speakers, Bluetooth/MP3 connectivity, auto headlight function, LED daytime running lights and security alarm system as standard. Honda Civic Tourer is available in S, SE Plus, SR and EX Plus trim ranges. The Civic Tourer is available in two choice of engines are 1.6 litre diesel and 1.8 litre petrol to choose between manual gearbox or automatic transmission. 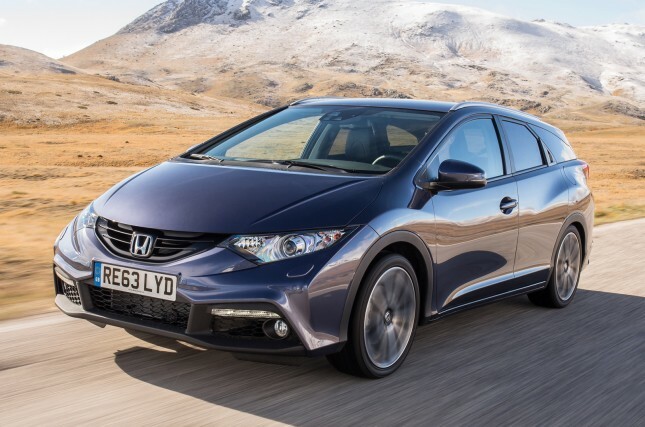 "practicality, economical and comfort - that's all new Honda Civic Tourer." If you have decided to have Honda Civic as your next car than you will be ensure about the practicality and fuel efficiency of Honda Civic that not disappoint you at any occasion. You can get this Honda Civic on great lease deals on business and personal contract hire with free UK nationwide delivery and excellent levels of customer service at any time !!!! To know more about Honda Civic financial offers, simply call our car leasing team on 0800 458 0113 and get your Honda Civic right now !!! !